Breda Breda is home to our sister institution, the Hogeschool Brabant, and the Netherlands Royal Military Academy. The International Business School Breda of the Hogeschool Brabant has been recognized by the newspaper Brabant Noord Holland De Stem as the outstanding business program in the Netherlands. Classes take place at the Hogeschool and housing is provided in the Hogeschool's student apartments. Breda was the place of exile in the Netherlands of Britain's Charles II (North and South Carolina are named for his father) and formed a base for Spanish occupation of the Netherlands during the Thirty Years War. Fortifications and canals from this period still dot the cityscape. Western also offers a semester abroad program in business at the Hogeschool. Students who complete a full year at the Hogeschool, including instruction in the Dutch language, can receive dual degrees. English is the language of instruction at the Hogeschool. The centerpiece of this historic city is the 100 meter tall tower of the famous Grotekircke, begun in the fourteenth century. The interior is used for major cultural events as well as worship services. The church's outstanding artistic gem is an early medieval fresco of the annunciation. The city is guarded by an equestrian statue of William III of the Netherlands and Great Britain. After the Glorious Revolution of 1688, James II fled England, and the British Parliament invited his daughter and her husband, Princess Mary and Prince William of Orange to assume the British throne. Parliament's offer was conditional on William and Mary's consent to the British Bill of Rights. The College of William and Mary in Virginia is named for this king and queen. The Netherlands was a republic at this time, and included modern Belgium. William III was not king of the Netherlands, but Stadtholder, or head of the government. 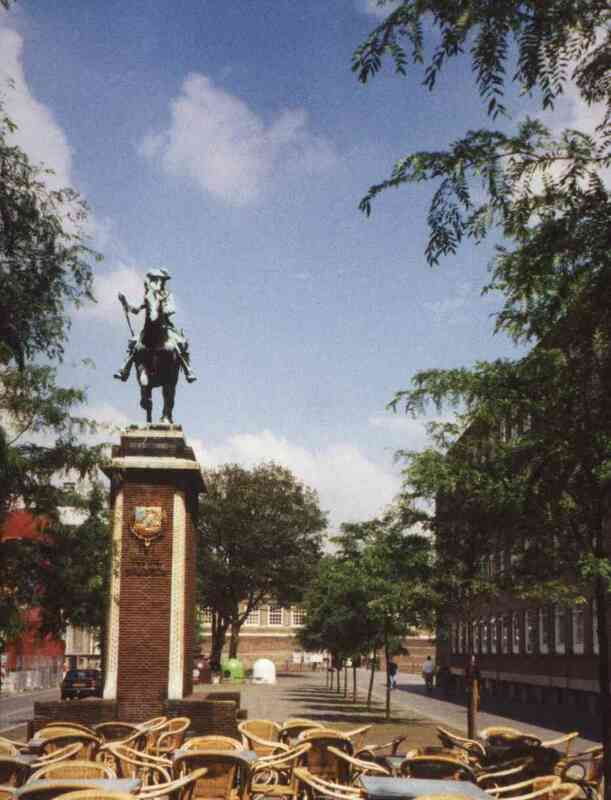 The Netherlands Royal Military Academy is behind the statue. Amsterdam The capital of the Netherlands, and one of the most exciting and attractive cities of Europe, features scenic canals, historic churches, museums, and palaces. We visited the Rijksmuseum and the Anne Frank Museum, and enjoyed a cruise on the canals and the Amstel River. 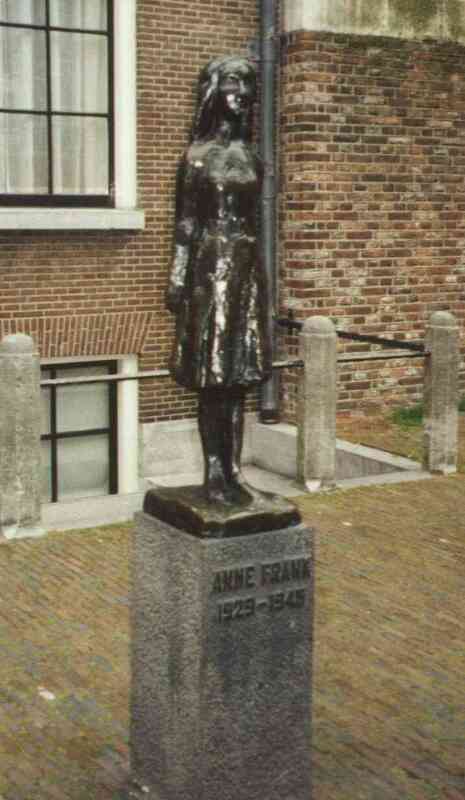 Anne Frank's statue is near the warehouse where she and her family and a few others hid from the Nazis during World War II. They were betrayed late in the war and only Otto Frank, Anne's father, survived. He had her diary published as a memorial to her and it has inspired millions over the years. The Rijksmuseum is the national museum of the Netherlands. It features Rembrandt's revolutionary "Night Watch" as well as many other paintings by that artist and Jan Vermeer van Delft. A branch museum is devoted entirely to the impressionist Vincent Van Gogh. 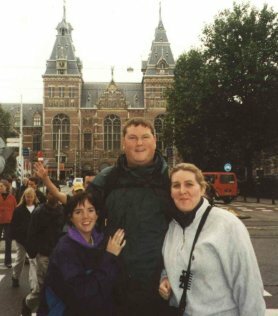 Left to right: Theressa Owens, Kevin Rink, and Heather Medd. Paris The capital of France features numerous historic attractions, including the Louvre, the home of the kings of France for nearly one thousand years, today one of the world's largest and most spectacular art museums, the cathedral of Notre Dame on the Ile de la Cite, the Madelaine or church of St. Mary Magdeline, the Assemblee National, the Opera or Palais Garnier, the Arc de Triomphe, and the Sacre Coeur or church of the Sacred Heart in Montmartre, the Dome of the Invalides where Napoleon I is buried, and of course, the Tour Eiffel. Highlights included a Seine river cruise and a trip to the top of the sixty-story Tour Montparnasse, the tallest office building in Europe. 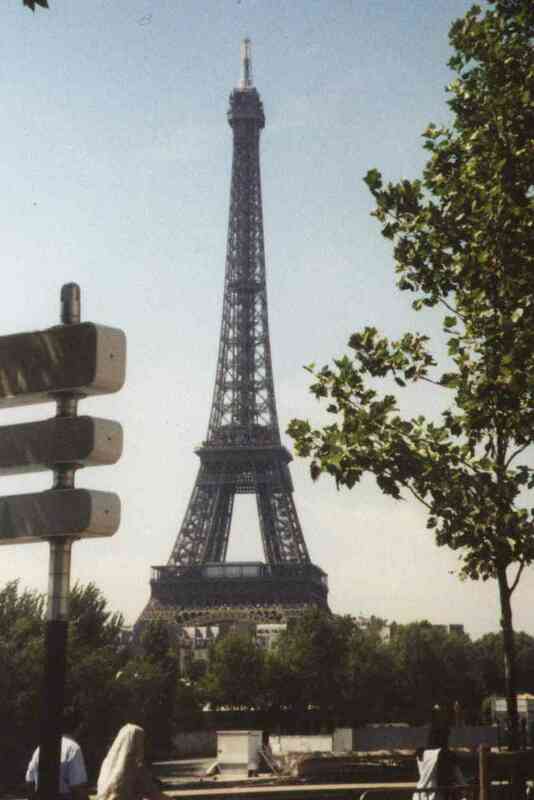 The 300 meter Tour Eiffel is named for its designer, the civil engineer Gustave Eiffel. One of history's great engineers, he designed many bridges and the internal structure for the Statue of Liberty. 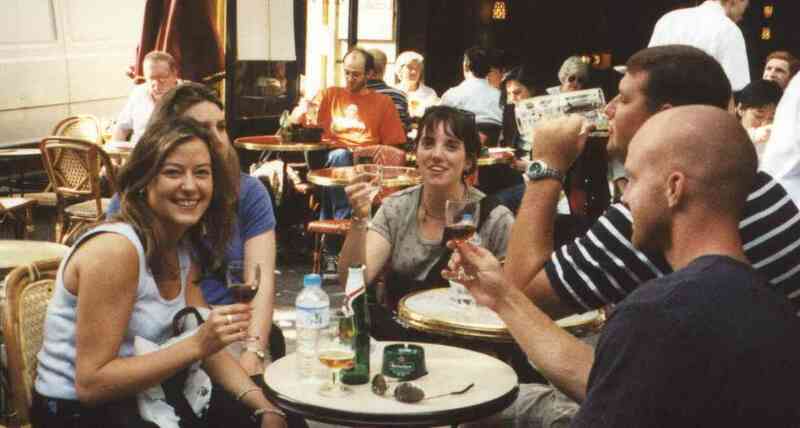 Our party relaxes in a bistro near the Palais Garnier, of Phantom of the Opera fame. 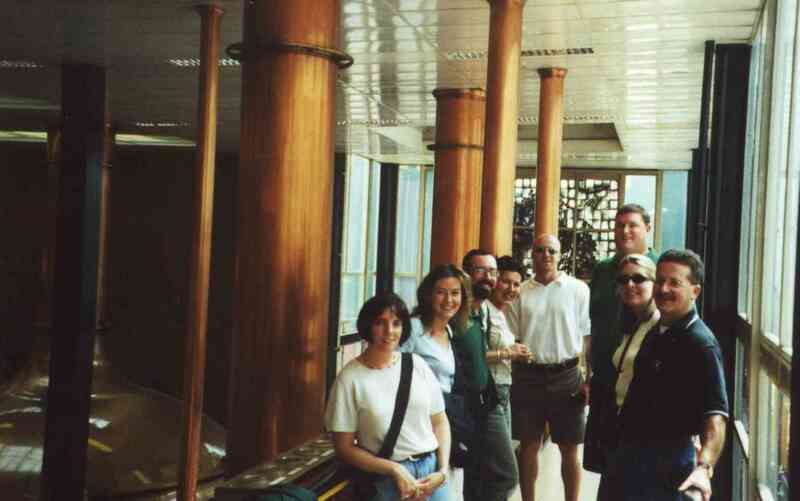 Left to right: Marcy Boone, Heather Medd, Theressa Owens, Kevin Rink, and Brad Northington. A view from the millenium ferris wheel. The gold dome is the chapel of the Hotel des Invalides, once a veterans' hospital. Napoleon I is buried under the dome. The twelve-columned building is the Assemblee National, housing the national legislature of France. 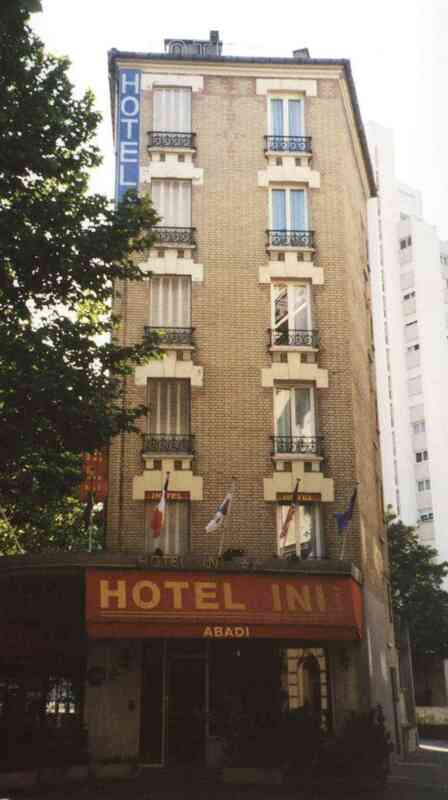 Our Parisienne home away from home, the palatial Hotel Abadi. 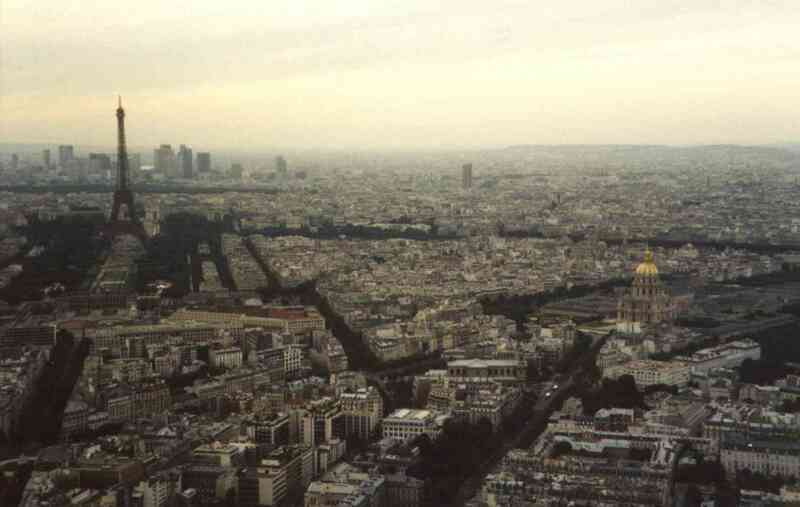 A view from the sixty story Tour Montparnasse, the tallest office building in Europe. The new development of La Defense is visible behind the Tour Eiffel. The Seine appears as a green line of trees that cuts through the city left to right. 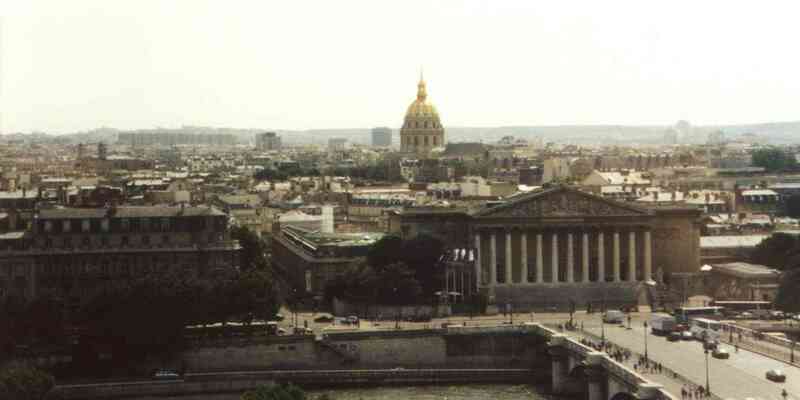 The Invalides is prominent with its gold dome. Rotterdam The largest and busiest city in the Netherlands is also the busiest port in the world. Our day trip included a harbour cruise and a walking tour of the downtown area. In front of Rotterdam's Radhuis or city hall. Left to right: Kevin Rink, Theressa Owens, Brad Northington, Marcy Boone, and Heather Medd. 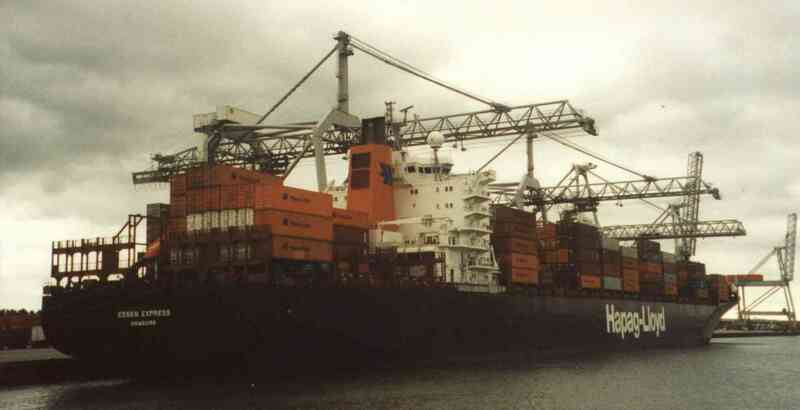 Rotterdam is the largest and busiest container port in the world. 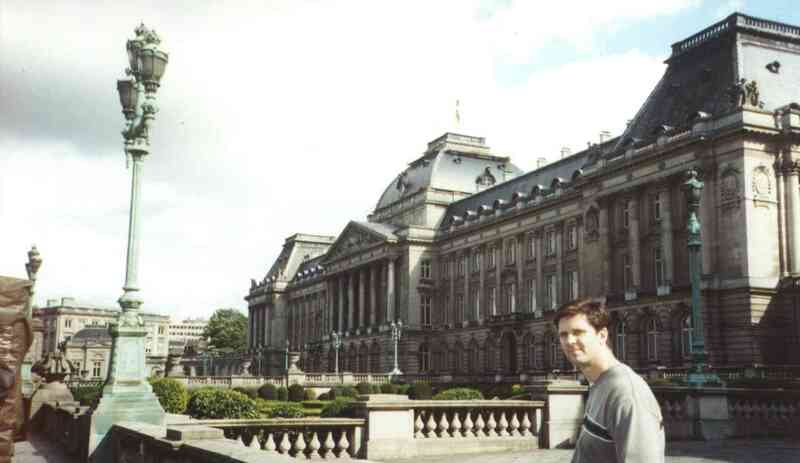 Brussels The capital of Belgium hosts the headquarters of the European Union, NATO, and UNESCO. Other historic sites include the Place de Ville with its medieval guildhalls, the Palais de Justice, and Palais Royale. This tri-lingual kingdom includes French, Dutch, and German-speaking groups. Christopher Yeager of Nielson Market Research in front of the Palais Royale. Cologne One of the oldest cities in Germany, once capital of the Roman province of Colonnia Germania, Cologne - Koeln in German - features major museums for art and Roman-era archeology, and the Stollwerk chocolate museum on the Rhine river. Our day trip will also feature a Rhine cruise. 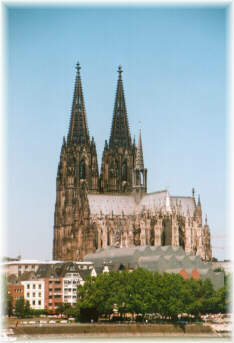 Cologne is dominated by the nearly 200 meter twin towers of the Koelner Dom, or Cologne cathedral. Begun in the thirteenth century to replace Gross St Martin, an ancient romanesque church which still stands, and to house the shrine of the three kings, the cathedral was not completed until 1880. It was the tallest building in the world until the Washington monument was completed. Maintenence and repair are ongoing. Heinekin Brewery We visited Heinekin's largest brewing facility which produces Heinekin and Amstel beers for European sale. Inside the brewery. 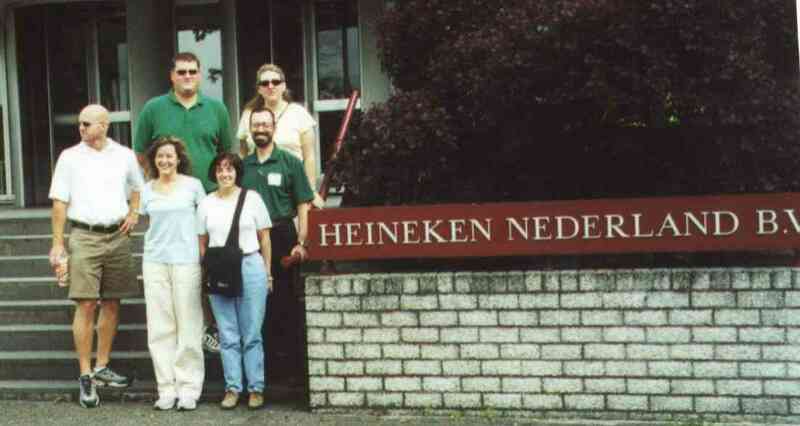 Left to right: Theressa Owens, Marcy Boone, Professor Bob Mulligan, Professor Dominique Moisi of the Hogeschool Brabant, Brad Northington, Kevin Rink, Heather Medd, and Professor Bert Nous of the Hogeschool Brabant. Outside the brewery. Left to right: Brad Northington, Marcy Boone, Kevin Rink, Theressa Owens, Professor Bob Mulligan, and Heather Medd. Phillip Morris We visited Phillip Morris's facility for producing cigarettes for sale to Belgium, the Netherlands, France, Germany, and Italy. Because each EU country has different taxation systems, cigarettes have to be packaged and revenue-stamped in a special manner for each destination country. 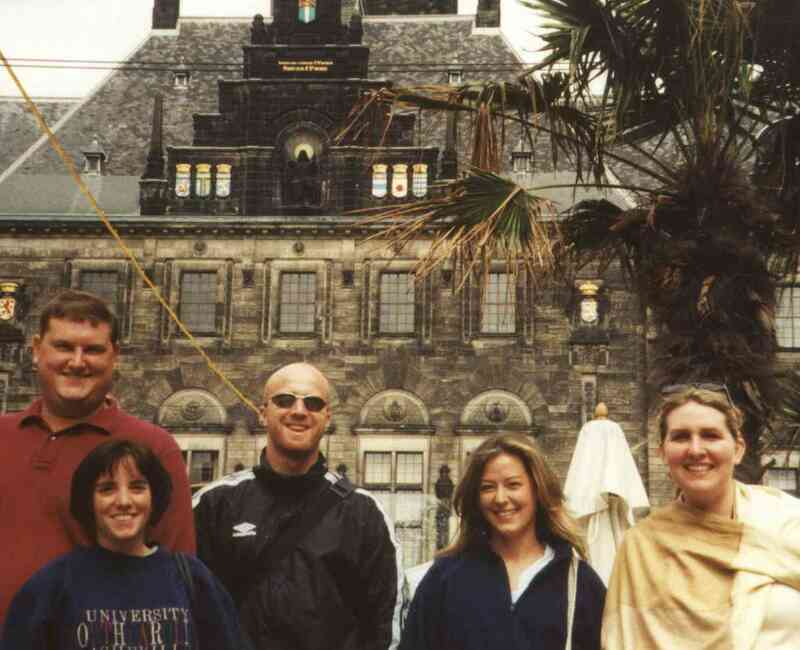 Left to right: Professor Dominique Moisi of the Hogeschool Brabant, Heather Medd, Professor Bert Nous of the Hogeschool Brabant, Kevin Rink, and Brad Northington.